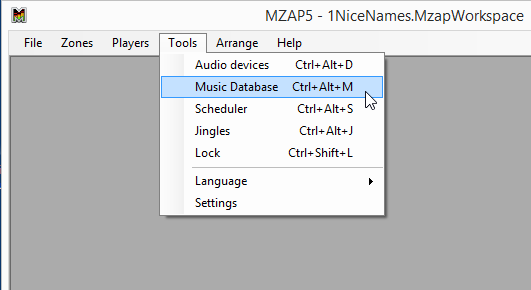 In the “Save playlist” dialog please select folder and type new playlist name. 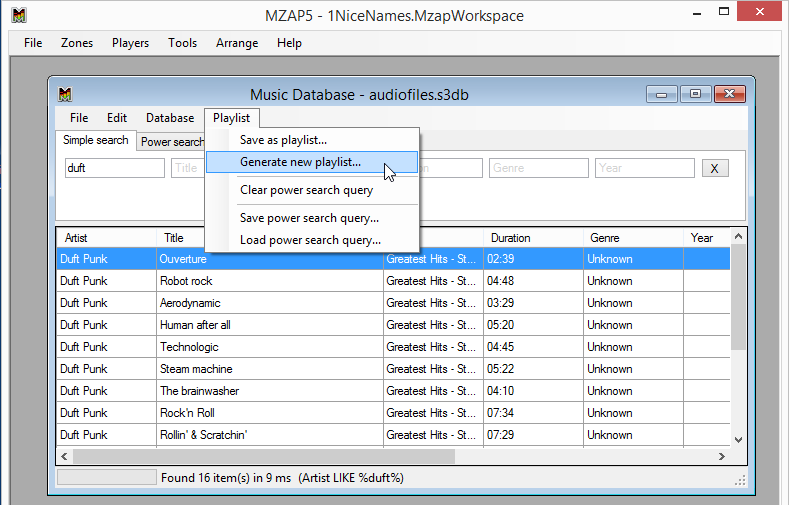 And now Playlist Generator window appears. 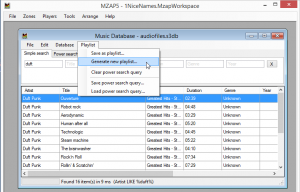 Here you can select playlists type: by time or specify the number of tracks. 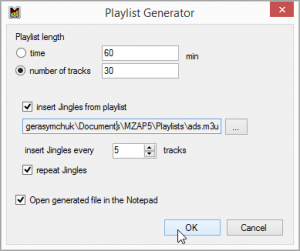 If you want insert jingles, enable “Insert Jingles from playlist” option and select prepared jingles playlist. Set how often insert jingles. If you want repeat jingles infinitely, set “Repeat Jingles” and the generator starts to insert tracks from the beginning, if they run out. Press OK and wait for a little. Your new playlist is ready to play.